Kenzie the Kangaroo New Scensty Buddy! 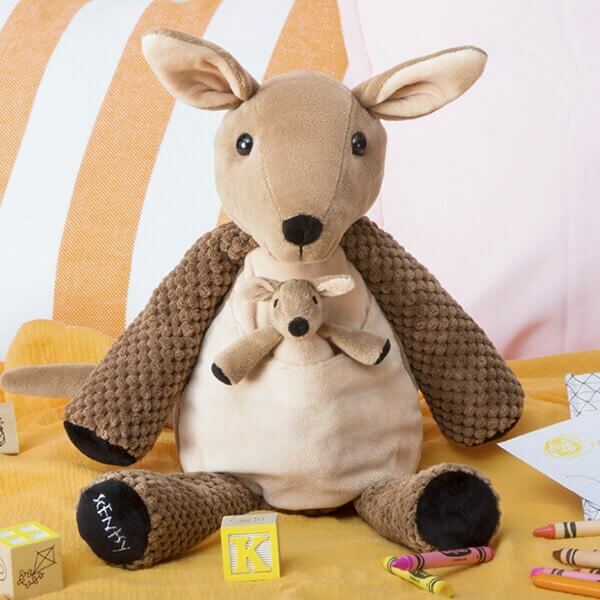 Meet our newest Scentsy Buddy, Kenzie the Kangaroo. Who’s really kickin’ it? Kenzie the Kangaroo! She’s ready to hop, skip and jump right into your heart. She even comes with a sweet “joey” (that’s a baby kangaroo!) you can take out of her little pouch. But don’t wait to grab this marsupial friend! Kenzie is only available while supplies last. Every Scentsy Buddy features a zippered pouch to hold your favorite fragrance. Kenzie the Kangaroo is $30 and comes with the Scent Pak of your choice. Fun fact: Kangaroos can jump up to three times their own height. Ambition: To figure out how to walk backwards.